Netiquette: Think before you type. I would have thought that this sort of carry on would have been quite an obvious No No for anyone with a shred of common sense but apparently not! 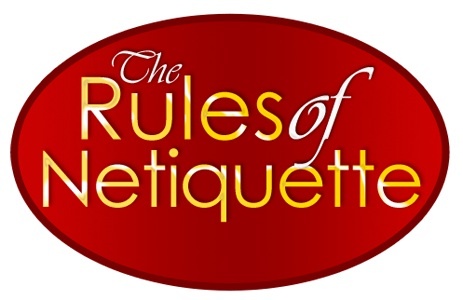 Which leads me to consider the Dos and Don’ts of online etiquette. From an individual perspective, one must be aware that there is a difference between interacting with friends on Facebook and interacting as a student or professional on an online forum. Madison College has complied a useful Netiquette guide that will ensure you are convey and communicating your message in an appropriate way. From a business perspective, as wonderful as social media can be, it also opens you and your company up to ANY customer feedback. Therefore, it is absolutely crucial that you know how to deal with negative feedback. If you deal with negative feedback in an inappropriate way or chose to ignore or …gasp…DELETE the comments, be warned of the wrath of the consumer. More than often all your customer wants is the right to be heard and acknowledged and they are actually providing you with an opportunity. An opportunity to FIX their problem. Social Media & the Consumer: How to Handle Negative Feedback is a fantastic article by Rachel Strella that will help you whether any social media storm. I suggest you keep it on file! Don’t be afraid: It’s not that scary! Cat got your tongue? Blogging for beginners. Protect your personal brand. No more awkward selfies – Please.